As I mentioned in my previous post, life is throwing all sorts of curve balls at me at the moment. They are all positive one's I guess, but change does up-route me. I like my routine, and life has been everything but routine at the moment. This means testing of beauty products is kind of put on the back-burner. I have only really been testing products that I need and have had zero tolerance for products that don't blow me away on day 1. No time. So the following have been making me really happy - they do as they say they will and have served their purpose of fitting into my beauty routine. I have been counting down the days to this launch. 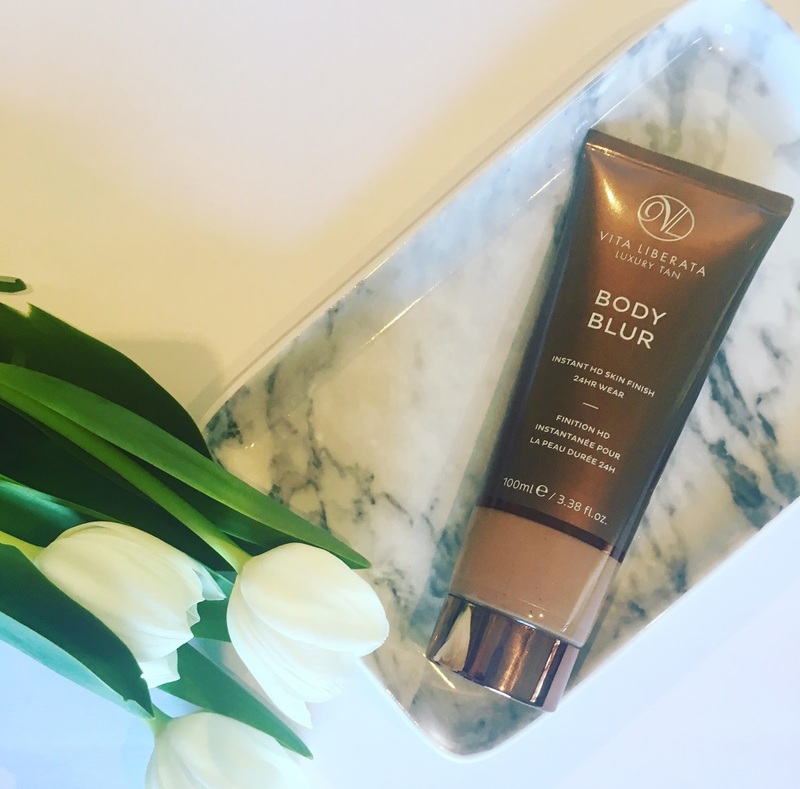 I love Vita Liberata self tanning products and I love a good instant tanner so, with this combo in mind, my expectations were high. Fast-forward to having reached for this every time I have had to bare any skin (on these unexpected summery days) and I am not disappointed. The formula is easy to apply, dries down perfectly on the skin and, as it says, blurs out any skin imperfections whilst adding the perfect non-orange faux glow. I adore products like this as they can be applied in an instant and washed off that evening in the shower, it solves all of your self-tan-pains! I have to say that the price is super steep for a product like this as there are so many on the market for a fraction of the price. Yes, the cheaper versions don't give nearly as good-of-a-tan and they aren't as pleasant to use but, given the fact that the tan washes away as soon as you shower, I would be a little hesitant to shell out for this again. Having said that, I will be using this very sparingly as it is beautiful and such a treat to use. You guys, why do I always fall in love with THE most luxury of luxury beauty products?! You all know how much I love the Stila matte liquid lipsticks (and I still do) but that love was recently trumped when I tried the newly launched CHANEL liquid lipsticks. The pigment, the comfortable-factor, the longevity, the fact that they really aren't too drying all makes these my official number one liquid lipstick. Of course, costing R610 means these aren't in everyone's price range but if you do want to treat yourself, give these a try. You will not be disappointed. They launched last week in stores. I also wanted to include the new formulation of the CHANEL nail polishes. They are a luxury treat and cost a lot more than your average nail varnish, making them the perfect gift or spoil for yourself. I can honestly say they are quality like no other. 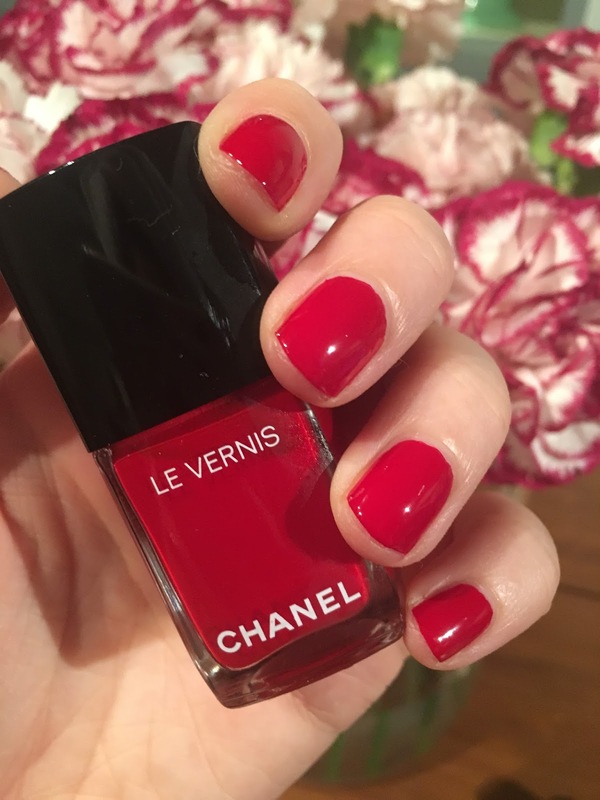 I have been giving myself a break from Shellac for a while and this has been my go-to shade - it's called Rouge Puissant and is your perfect red. These retail at R450, apply like a dream and you are almost guaranteed no chips for a good 5 days! These aren't a new favourite, as such, but they have just launched in South Africa so I thought I should give them a mention. 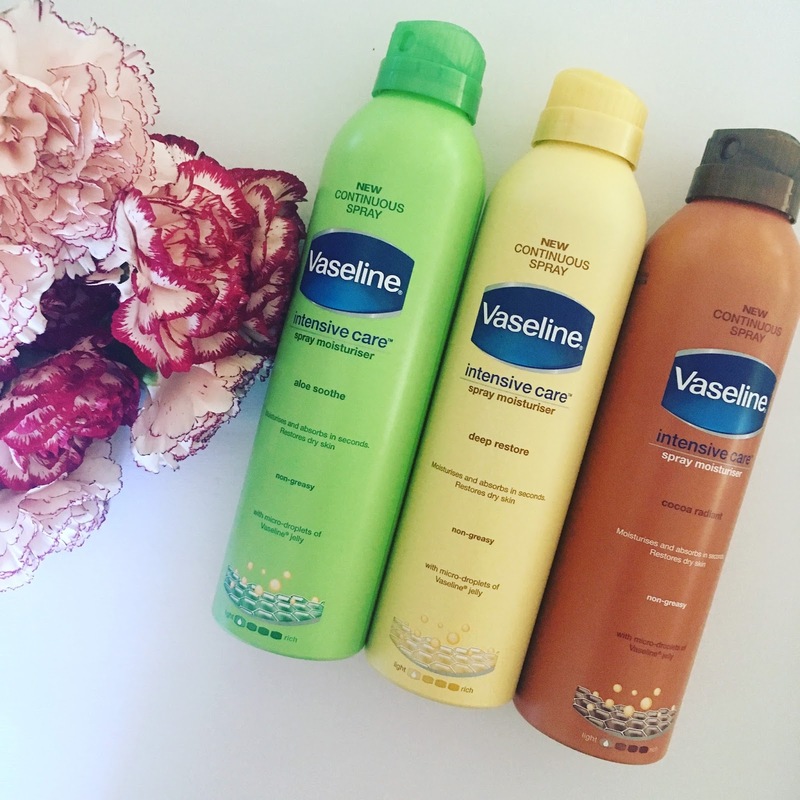 I have used the Vaseline Spray Moisturisers for a while now and love them for how convenient they are. I was always confused as to why the brand didn't launch them here when they launched overseas as they make so much sense for a climate like ours. Anyway, they are finally here and I have no doubt they will do well. They are the usual Vaseline moisturisers but in an aerosol can applicator which disperses a fine mist of hydration - perfect for an application that dries down super quickly and is very light. These may leave you feeling a bit chilly in winter, but come summer you will not be able to get enough of these. They are in store now and retail at R89.99. Tip: I put mine in the fridge for a bit nefore applying on hot summer days, feels amazing! With all the added stress I have been experiencing my skin has really not been at it's best and had quite a few break-outs on top of a lot of dehydration. I received this serum two weeks ago and so far it has been helping my skin so much! 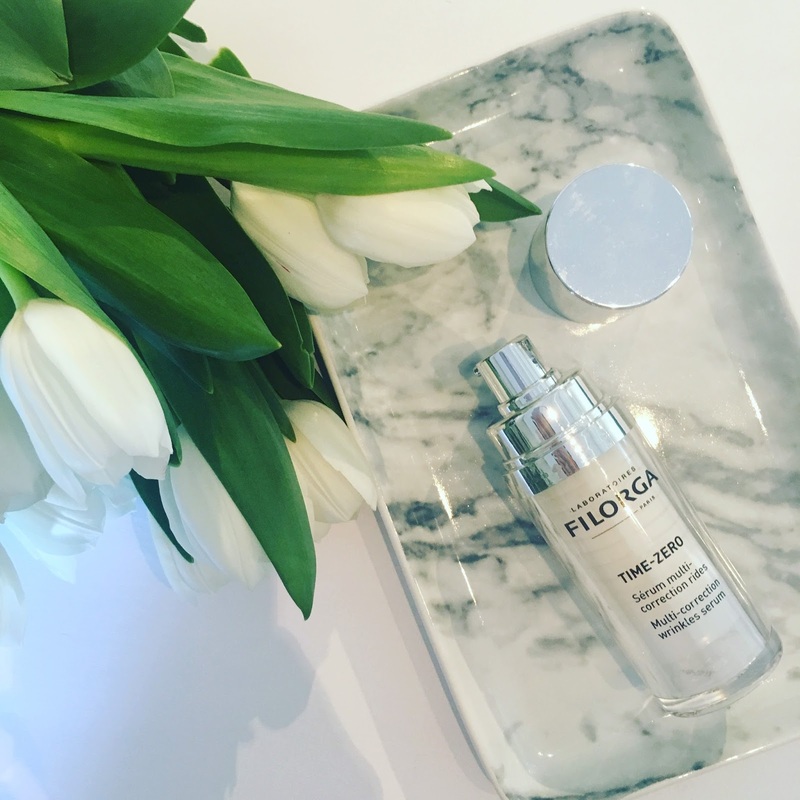 The whole point of the serum is that is targets different types of wrinkles in one go and makes use of four popular treatments and technologies used to combat ageing namely fillers, mesotherapy, botox and peels. I have loved the texture of the serum and, even though I haven’t used it for long enough, I have seen that my skin appears a lot plumper on application. I will report back on how this goes longer term. There is a lot of technical info around ingredients here but my feedback from you guys is that ingredient info doesn’t mean as much to you as simple ‘does it work’ feedback. This will be my replacement after having finished my beloved Gatineau Melatogenine Force Collagene Serum which I really loved. It was love at first try when I tested out the new liquid lipsticks from Arden. The shade 'Daring Beige' was right up my alley and as I applied it I knew it was going to be a firm favourite. 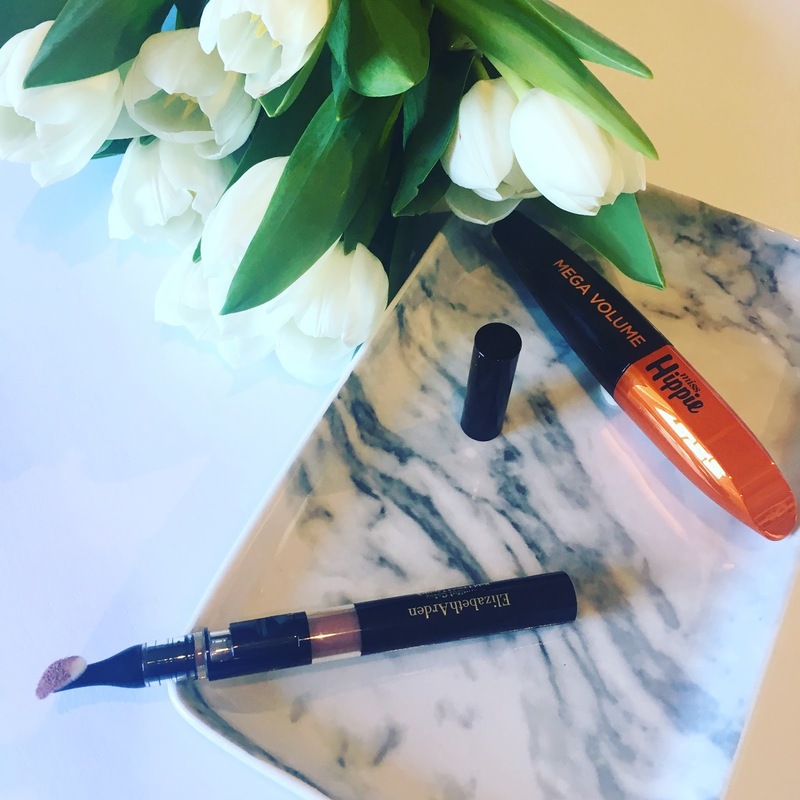 What I love most about this is the applicator tip and how easy it makes application as well as the actual formula which is rich, full of pigment and so balmy - it feels so nourishing and stays put once it sets in place. In my mind the finish was a lot more matte than gloss, but I prefer that effect. The only thing I can't rave about is the actual push up clicker on the pen - I think this was down to this specific pen though, as my other shade clicked up easily. The end results makes up for this though. I received this mascara with another launch from L'Oreal, Feline Volume Millions. I do get very excited about L'Oreal make up in general as they do some of my best high-street products. The Feline Volume Millions mascara was very average and did very little for my lashes so I passed on that after a few chances. the Miss Hippy Mascara, however, has not left my make up bag - I have been loving it and used it every single day for a good month now. It adds tons of volume and gives lashes that slightly clumpy (in a good way), full effect. The wand packs the product on and doesn't stray off the lashes - it lasts really well. Pictured above. 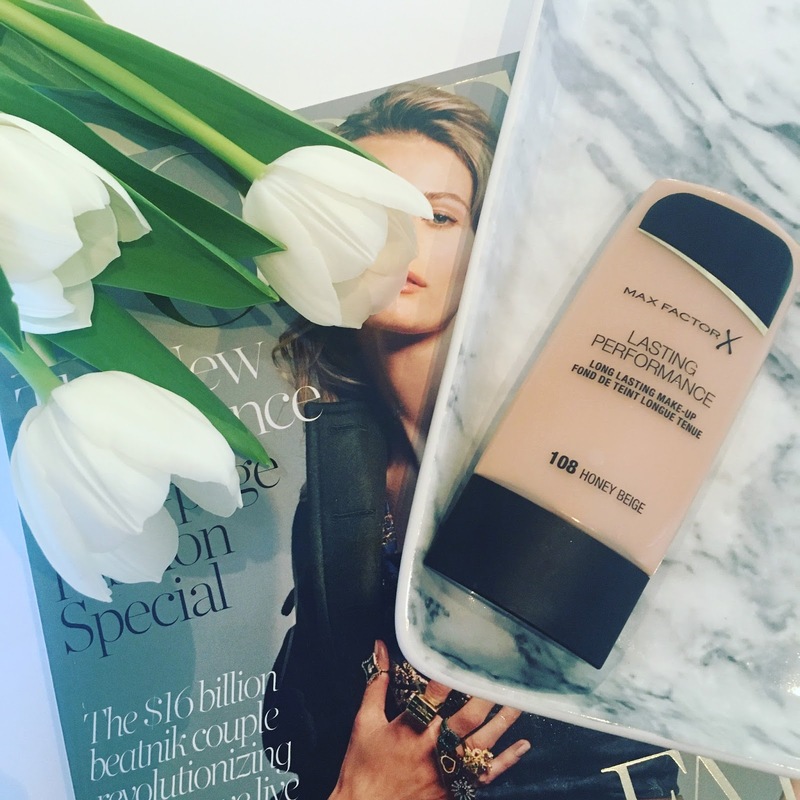 I got this foundation over a month ago and I have whizzed through it - I love the finish and think it is such fab value for money. Only issue is the fact that it claims to be a matte foundation. If that were the case I would hate it (I steer clear of matte foundations with my drier skin). Anyway, I am pleased to report that the finish is very 'normal' and even leans more to the glowey/radiant side of things. It's lovely. The tube is also super travel friendly and light. The shade range is shoddy with only four shades - I have been using Honey Beige which is the perfect shade match. Please bring more shades out, Max Factor, this is a goodie! 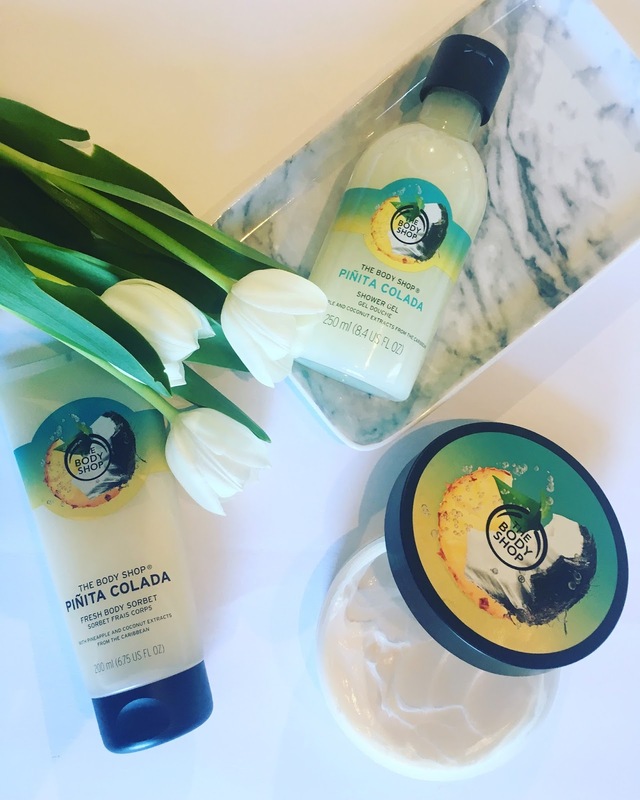 Ah, this range has been my go to for a pick-me-up summer feel in my shower. I love this scent so much!!! I had heard all the buzz about how great the scent of this range was, so was dying to try it. I usually actually wouldn't go for a Pina Colada type scent, it sounds too coconutty and sickly sweet for me, but this is fresh, zesty with a creaminess to it that I love. The body wash (R99) and body cream (R170) are gorgeous and I have been powering my way through it. I have already actually bought a back up - that's how much I love it. It is the kind of scent I want to take on my next summer holiday as it bring back all the summer holiday feels!! !